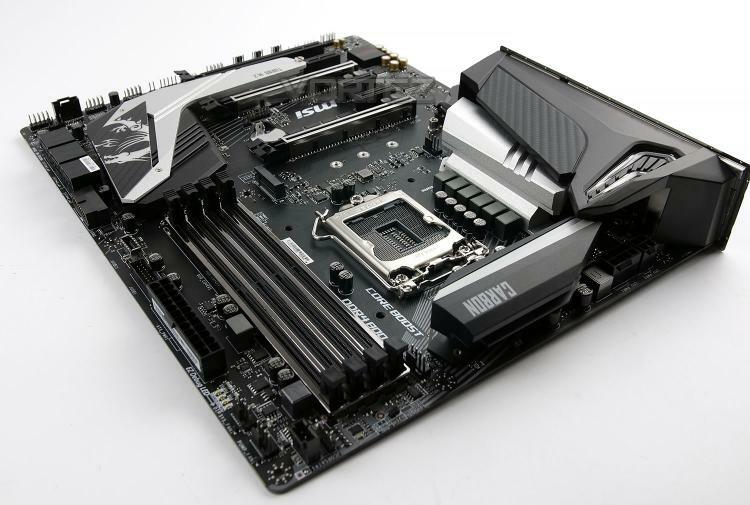 Not only does this board utilise Intel’s latest Z390 chipset, which offers compatability with 8th Gen Intel Core CPUs, as well as the next-gen CPUs. We also see a pre-installed rear IO shield, substantial VRM power delivery for the CPU, SLI and CrossfireX support, M.2 NVMe storage and Audio Boost 4 sound output. The MPG nomenclature is derived from a design language seeking a Modish outlook and high Performance for the best Gaming experience. So you can expect good things from this range. Designed with Modish outlook and high Performance for the best Gaming experience. The MPG motherboards always feature unique look & feel, unlimited customisation options and packed with more exclusive gaming weapons. Inherited curves and shape of concept cars, the unique and powerful design offers unlimited customisation options by using MSI Mystic Light RGB and also tuned for great performance. With plenty of features, the CARBON series tailored to given gamers the best gaming experiences.